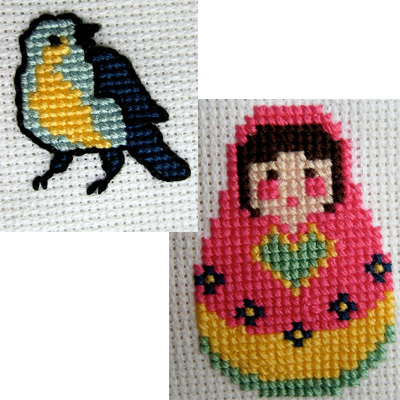 When I was young I took up counted cross-stitch. I made a few folksy gifts for my siblings and began some more ambitious projects that never found their way to completion. Recently, I found my old cross-stitch bag in my fabric bin and got looking through it. I found some of my old projects and decided that I needed to pick up my old hobby again. I started by modifying a few patterns from others online and then I started creating my own patterns to be used in the shop. 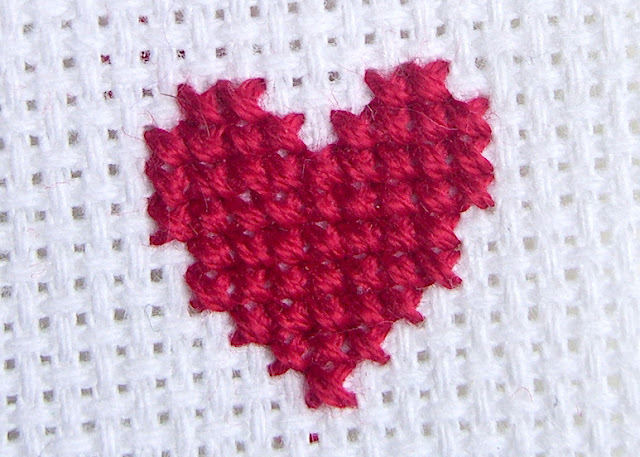 I really like the way cross-stitch looks and I'm enjoying working with my floss and needle again. Sometimes life comes full circle like that. The Ava Leigh and The Elise. I'm adding a third style just in time for Easter. 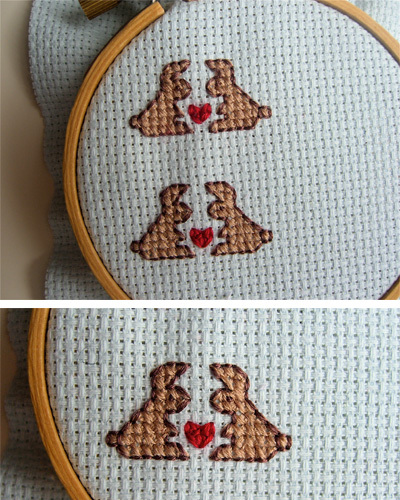 Here's a sneak peak at "Bunny Love."